﻿ Caesar Creek State Park Campground - Ohio. Find It Here. Located in southwest Ohio, the 3,741-acre Caesar Creek State Park offers some of the finest outdoor recreation in Ohio amidst the parks sprawling lakes, wildlife areas, meadows and ravines. The 2,830-acre lake is unlimited horsepower. 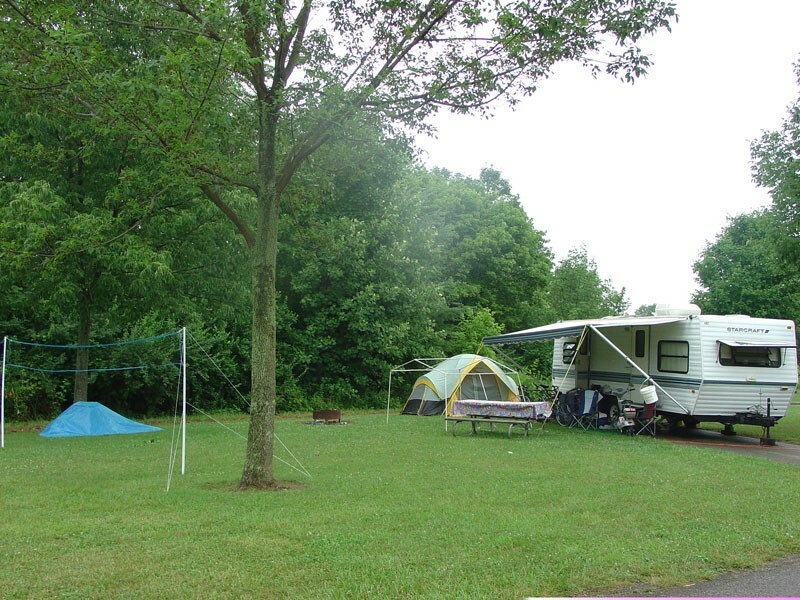 The campground has 287 electric sites, showers, flush toilets, playground equipment and basketball court. Pets are permitted on all sites. 6 group camps are located around the park. They may be reserved by calling 513-897-3055. Equestrian camp has 30 non-electric sites available on a "first come, first served" basis. The lake has a harbormaster facility with leased and transient docks. The building includes a retail area, concessions, public restrooms, seating area and water fountain. Fishing, hunting, swimming beach in addition to boating at the state park. Hiking and mountain biking trails throughout the park, and part of the Buckeye Trail (backpacking) traverses the park. A nature center offers robust naturalist programming year-round. A Pioneer Village features 15 historic buildings depicting life in the early 1800s.